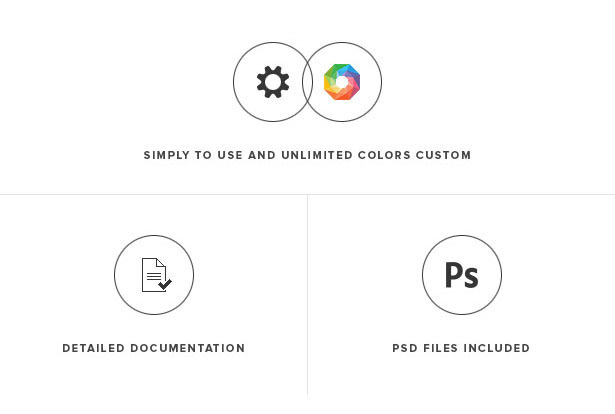 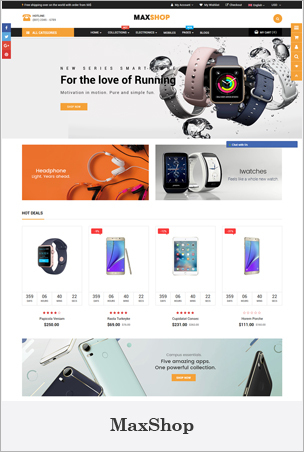 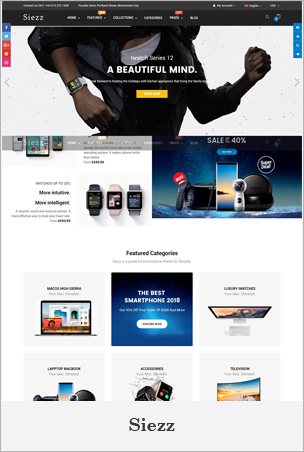 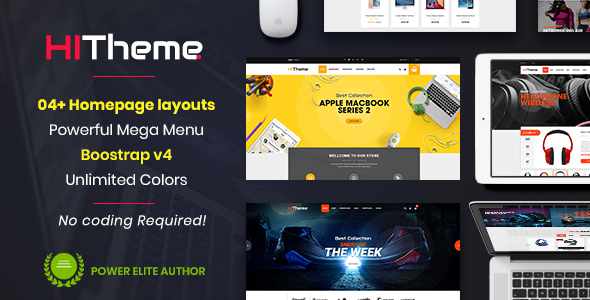 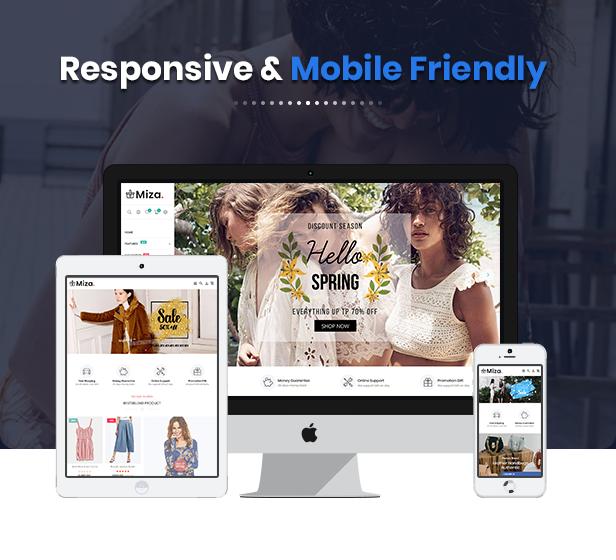 Download now Miza – Multipurpose Clothing And Fashion Bootstrap 4 Shopify Theme With Sections (Shopify) theme. 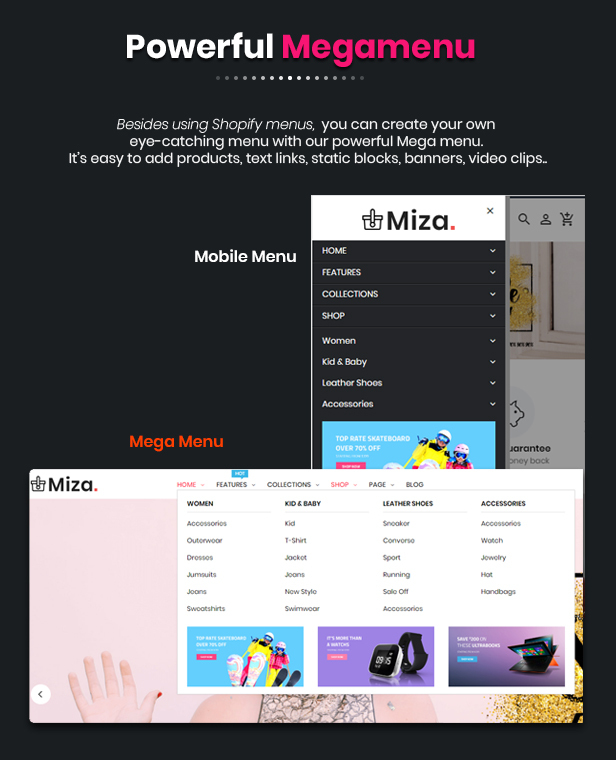 Review and opinions of Miza – Multipurpose Clothing And Fashion Bootstrap 4 Shopify Theme With Sections (Shopify) theme. 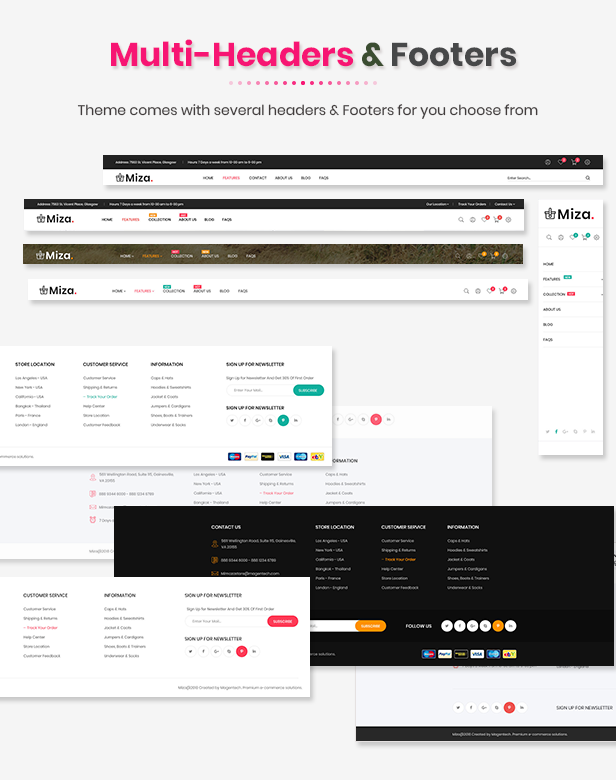 MIZA – MULTIPURPOSE CLOTHING & FASHION BOOTSTRAP 4 SHOPIFY THEME – SECTIONS READY! 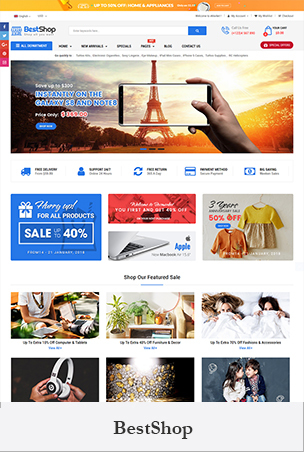 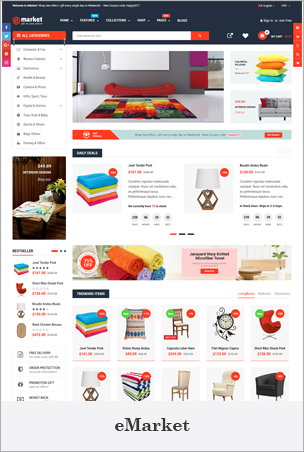 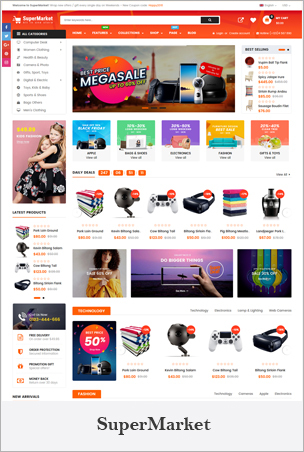 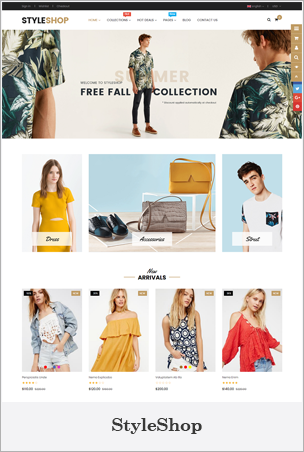 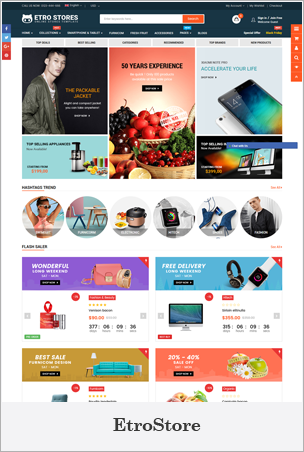 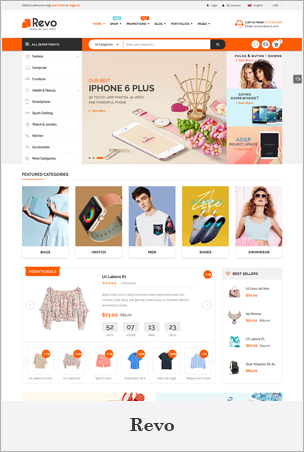 Miza – The beautiful & elegant Shopify Theme provides you with 5 different designs and multi-headers and footers to help you create a professional looking ecommerce store for fashion, shoes, cosmetics, flowers, jewelry stores, beauty shop, lookbook and many more. 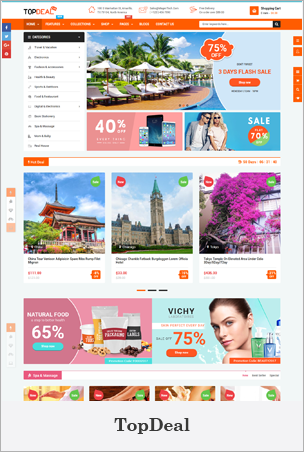 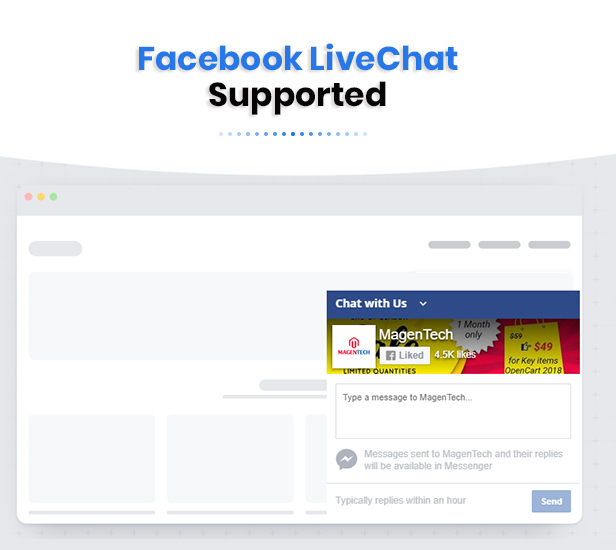 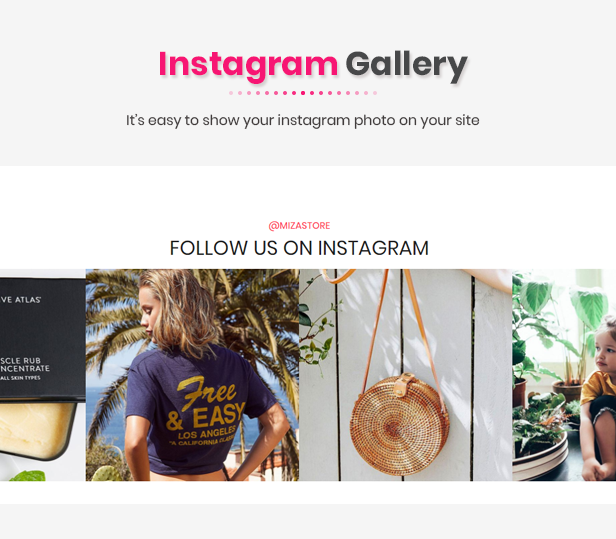 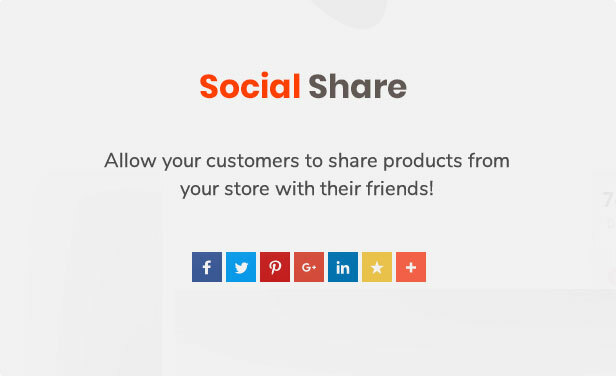 Miza comes with plenty of creative options and useful features such as: Eye-catching Homepage Slider, Powerful Mega Menu, Visual Page Builder, Ajax Cart, Ajax layer Navigation, Quick View product, Product Brands, Instagram Gallery, Quick Tools, Social Share.. and so on. 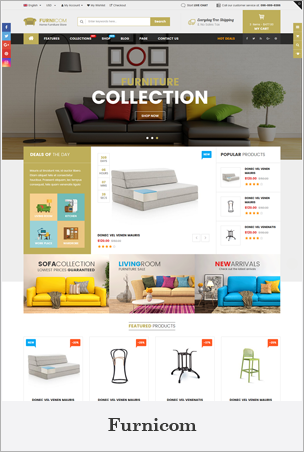 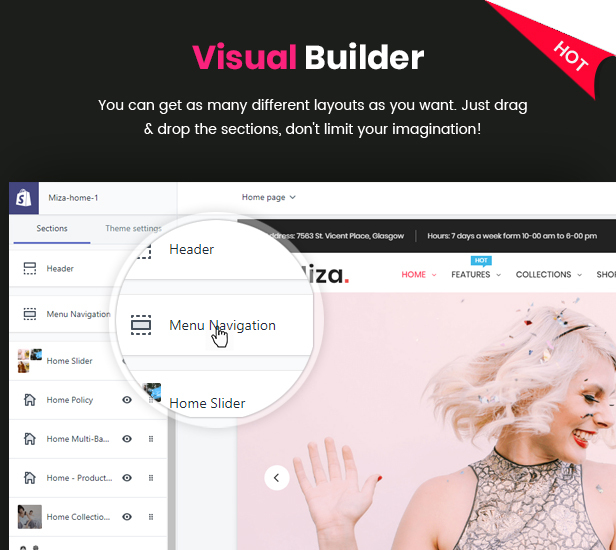 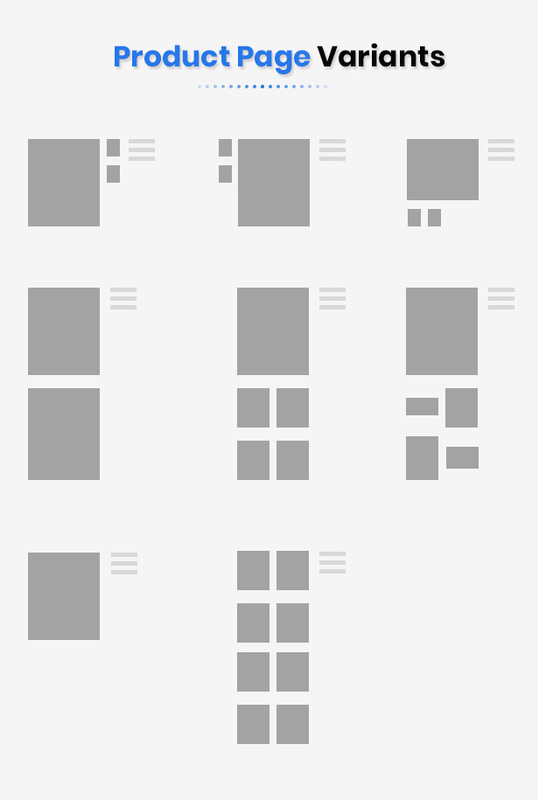 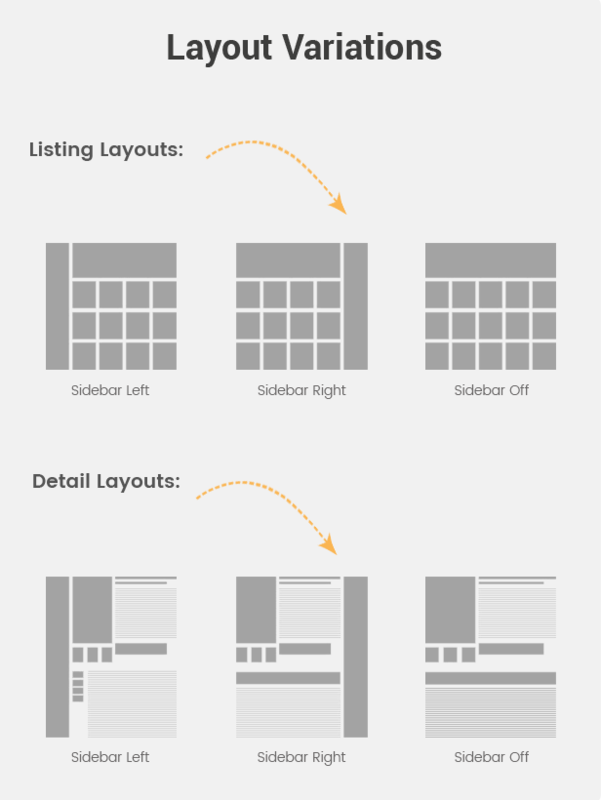 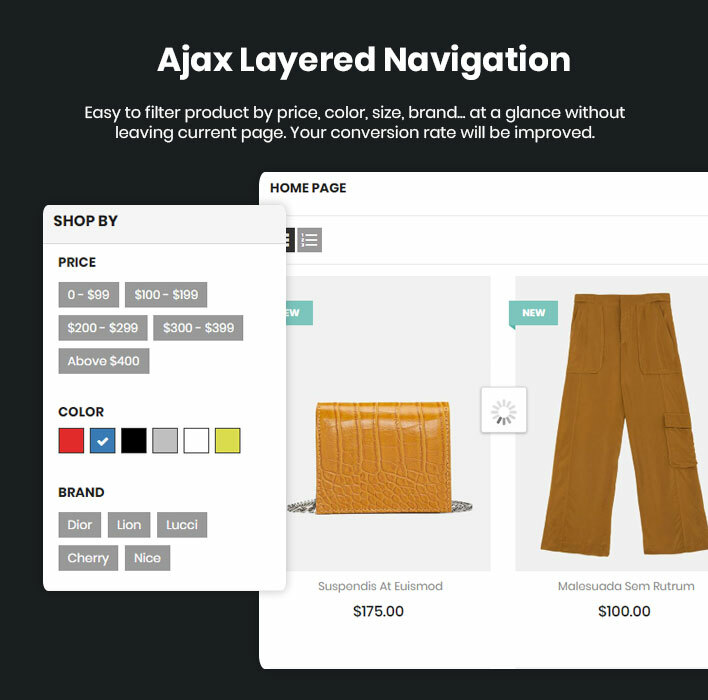 Thanks to visual and drag-n-drop website builder, you easily modify and create any website you want without any coding by redesigning any of the pre-built content that makes up this Shopify Theme. 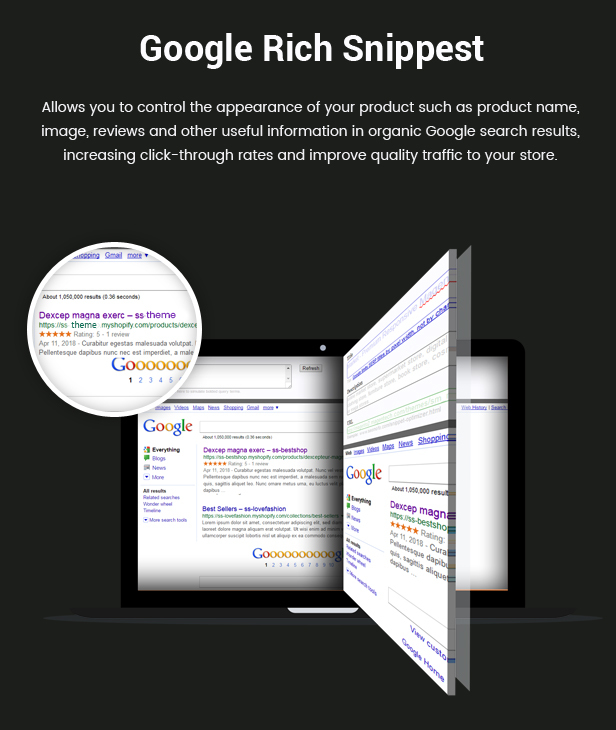 Voted 4.2/5 of 4 reviews.